The Forge has been an icon in Miami since the 1930s, but with the introduction of new executive chef, Julia Doyne, the renowned American steakhouse is getting a new wave of attention. Doyne has had a love affair with cooking ever since her mother taught her how to make the perfect chocolate chip cookies at age 5. Her first job was in New York with highly acclaimed Chef Marcus Samuelsson at Aquavit. There, she perfected the Swedish and Nordic techniques of pickling, curing, and smoking. Doyne went on to work for Michelin-starred Chef Christopher Lee as a line cook before working her way up to sous chef. When Chef Lee took the position as The Forge’s executive chef, Doyne jumped at the opportunity to be the chef de cuisine at the most legendary steakhouse. Last year, Doyne made another leap when she was appointed to executive chef of The Forge by owner Shareef Malnik. “Then he said, I would like to offer you the position, and I kinda knew it was gonna happen, you know? It was kind of obvious, but my heart still just exploded and I just had to keep my cool,” Doyne said. 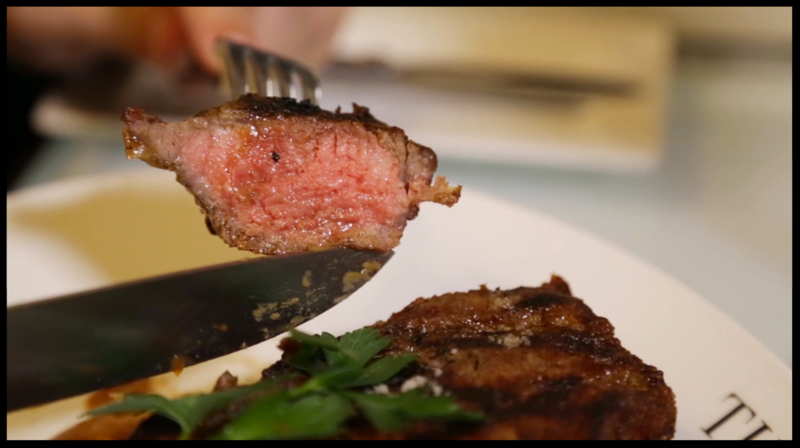 On this episode of “Table 42,” see how the cuisine at The Forge merges the American steakhouse genre with modern techniques and flavors under Julia Doyne’s leadership. For example, Chef Julia’s General Tso’s Octopus is a new take on a classic, and Chef Doyne transforms the dish with ease. “You wanna braise it for a really long period time with vegetables like carrots, onions, a little bit of red wine. You wanna submerge it in this liquid and once you cool it off it’s really easy to char,” she said. Their signature dish, the Super Steak, really defines the cuisine at the Forge. They have perfected it with quality meat and the perfect sear. “...Our Super Steak, it’s a 16-ounce dry aged strip. We’re gonna put it on the grill and then let it rest a little bit. You wanna get a good char flavor to seal in the juices,” she said. Watch the full episode to see how Chef Julia Doyne is forging the way! But an impressive menu isn't the only thing to The Forge's name. The Forge boasts huge, elegant dining rooms, each with its own style. The building was originally an actual blacksmith's forge, used to create iron gates and sculptures for wealthy Miami residents. It is even outfitted with a number of secret passageways and rooms. Not to mention an expansive wine cellar with bottles aging back almost 200 years! Curious to learn more? Take a tour of The Forge’s Wine Cellar here.